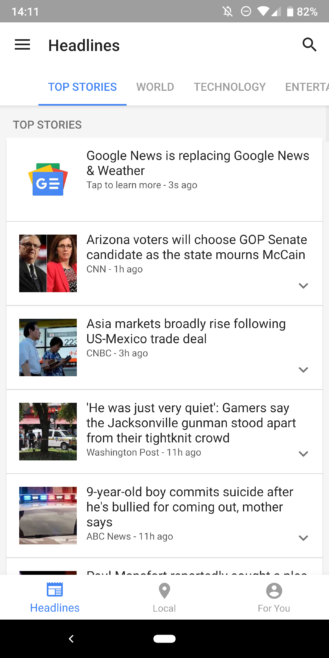 In the news, which is not surprising to anyone, the Google News & Weather app is slowly being discontinued in favor of the newer Google News. The application, which in the past was preinstalled on many Android devices and served as a good place to check the news, is now nearing the end of its life. When Google News was launched in May, it came as an update to the existing Play Newsstand app. At the same time, the separate Google News & Weather app was removed from the Play Store, probably to avoid confusion when users search for " Google News "and instead ended up on the older app. 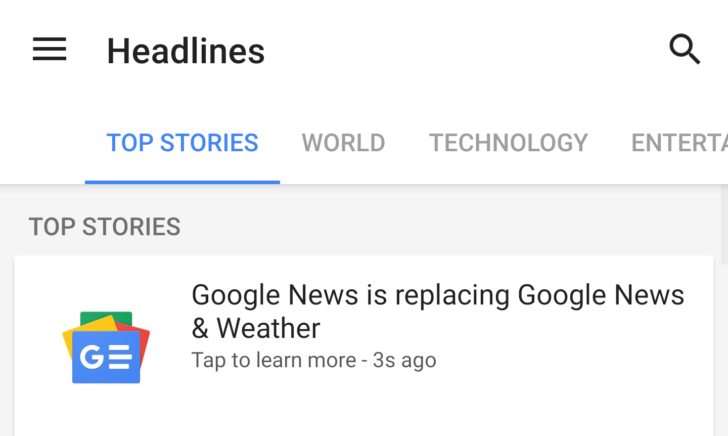 Now for those users who still have something At News and Weather, which prefer their non-algorithmic approach, the app has begun to show a banner at the top that it will be replaced by Google News. Tap the banner to download or open messages from the Play Store if it's already installed on your device. Predictably, users are not very happy about the change. Some are already leaving bad reviews for News & Weather, saying they will not switch to the new app and prefer the way their articles and news are organized in the existing app. At the moment, News & Weather is still updating its content and getting up-to-date articles to read, but who knows when this will end. It might be soon or it might take a while, but either way if you use the app you should start looking for a replacement. Whether it's Google News or something else, you need to be prepared.